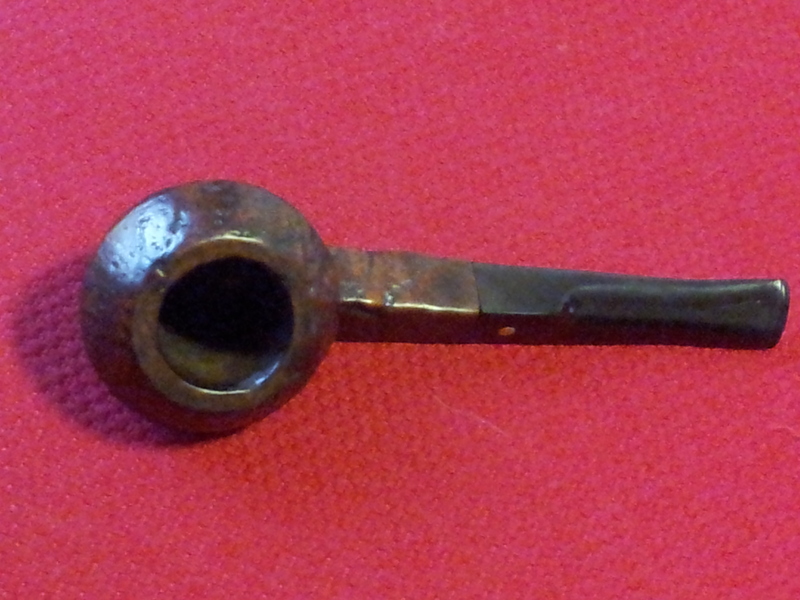 This squashed bulldog was a very unprepossessing pipe when I pulled it from my refurb box. Dirty, dusty, and coloured a uniform dull grey/brown. 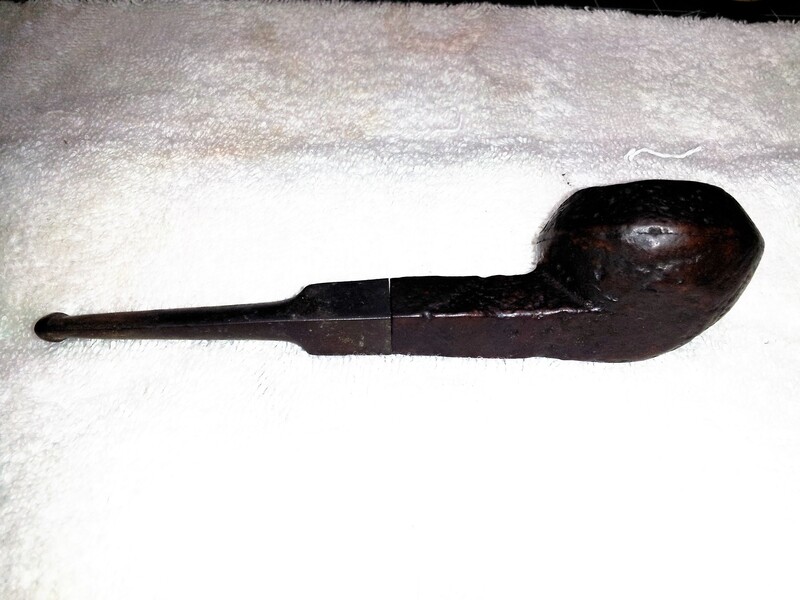 I couldn’t tell if the lumpy irregular look to the stummel was due to exuberant sandblasting or wretched neglect, the stem was oxidized and had a fair bit of tooth chatter, especially at the button. The stem to shank fit was also clearly off – you can see the gap in the pics below. 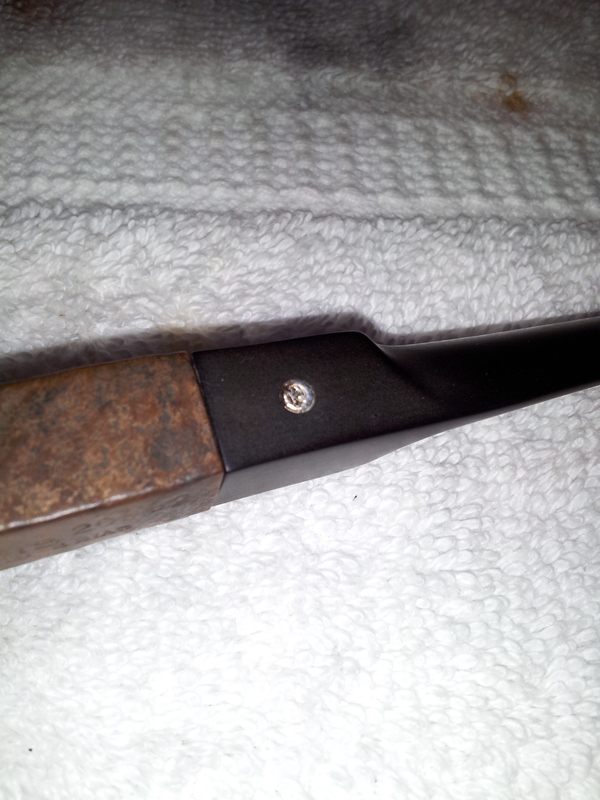 In order to read the stampings, I scrubbed the diamond shank with alcohol on a cotton pad. 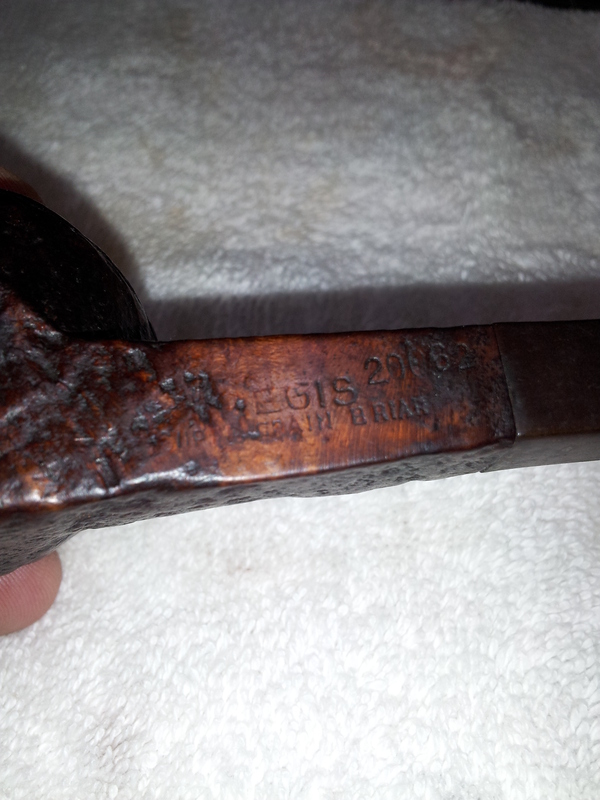 The stampings read “Regis” over “Super Grain Briar”. There is also a shape number code, “20062”. The stem carries a stamped metal “R” in a circle logo. Pipephil.eu lists the Regis brand, but does not identify country of origin or whether it was linked to a particular manufacturer. I first reamed the bowl back to briar using coarse sandpaper wrapped around a dowel. The tobacco chamber looked surprisingly good considering the pipe looked like it had lain in an attic or dusty storage room for years. 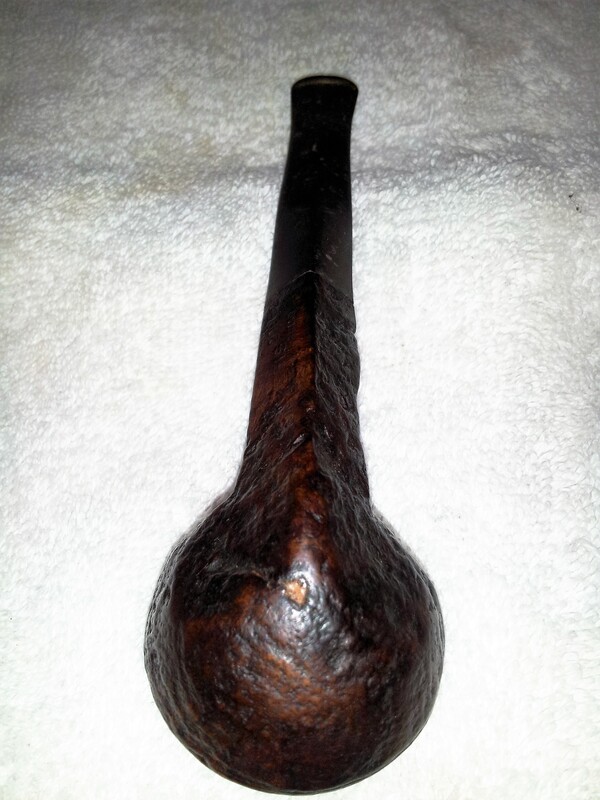 I completed the stummel cleaning with a scrub of Murphy’s Oil Soap and an old toothbrush. 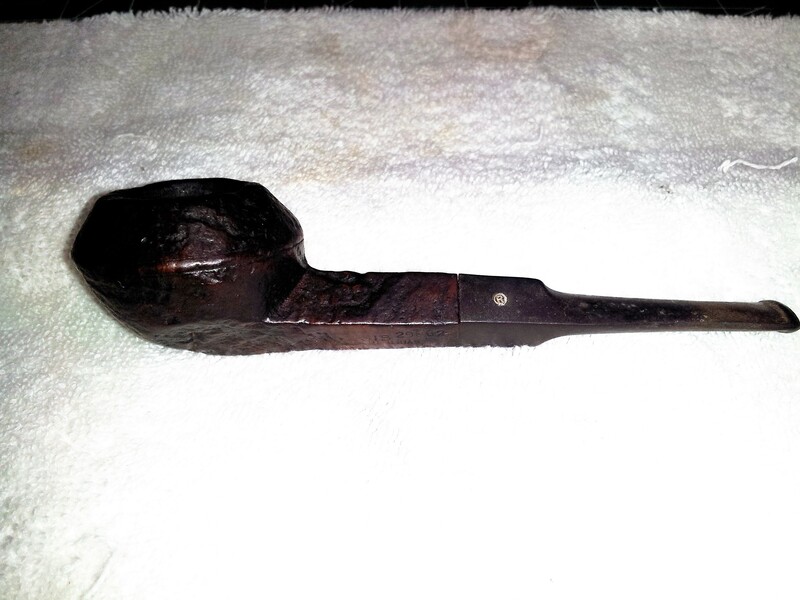 This successfully lifted the dirt and grease from the sandblasted surface and restored a bit of lustre to the briar. The stem was cleaned with Oxyclean and 600 – 2000 grit sandpaper to remove oxidation and tooth chatter. Then I cleaned the internals of both stummel and stem using alcohol and pipe cleaners. 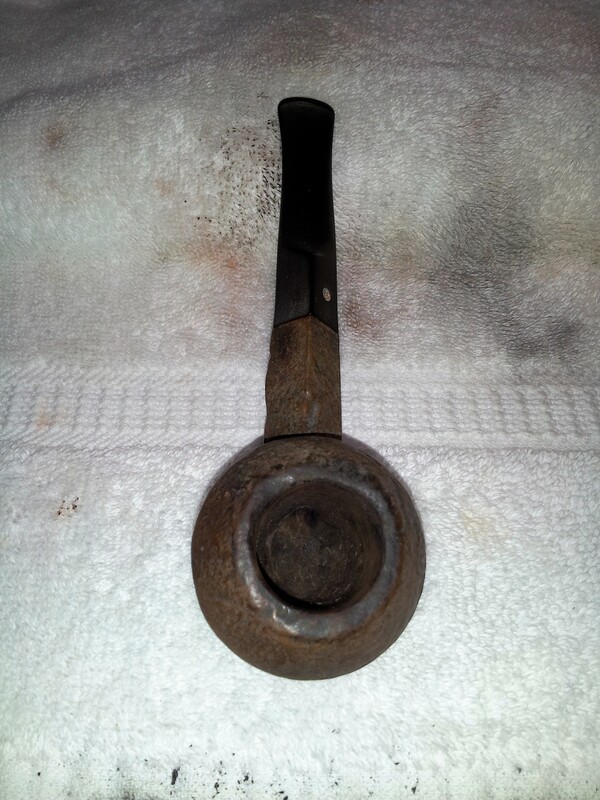 Here are a few pics of the cleaned pipe at this point. It’s much improved. I think the rim of the bowl was intentionally given the “beaten up look” during sandblasting, but I felt it was rather overdone as there was one area where the level of the rim stepped down considerably. It gave the impression that the rim had been broken off at some point and crudely sanded down in a repair attempt. I decided to try to minimize the step-down with a gentle topping. I did not completely smooth out the rim, leaving a few of the deeper blast marks intact. I also refreshed the faded stain with a wash of well-diluted Dark Brown Fiebing’s leather dye. My goal was to bring the colour back to the original finish, not change the colour of the pipe. 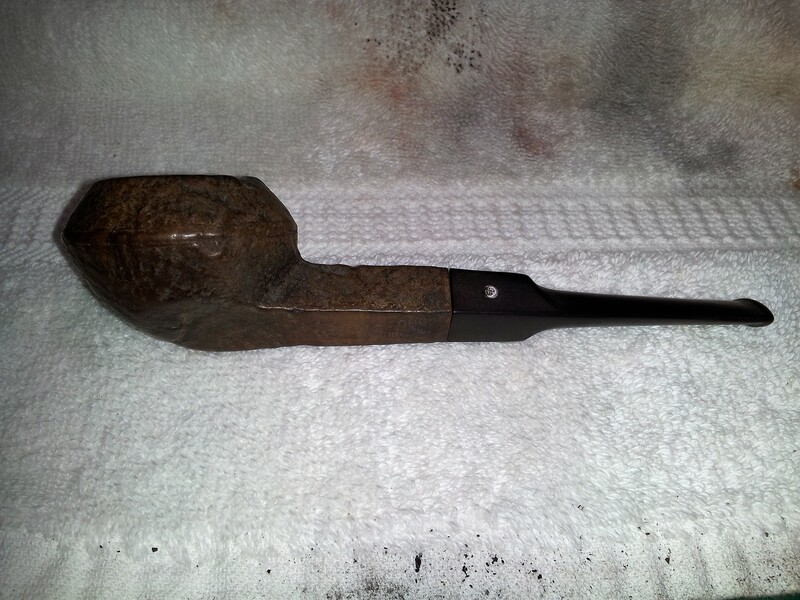 With the stummel ready for buffing, I moved back to the stem to work on the fit with the shank. The shoulders of the stem face were quite rounded, especially on the top point of the diamond. Borrowing a technique posted by Al on RebornPipes, I drilled a hole in a flat scrap of wood that would allow me to insert the stem tenon snugly yet still let me rotate the stem freely. I placed a sheet of 220-grit sandpaper over the wood and cut a matching hole in it before inserting the stem tenon through the hole in the sandpaper and into the wood. 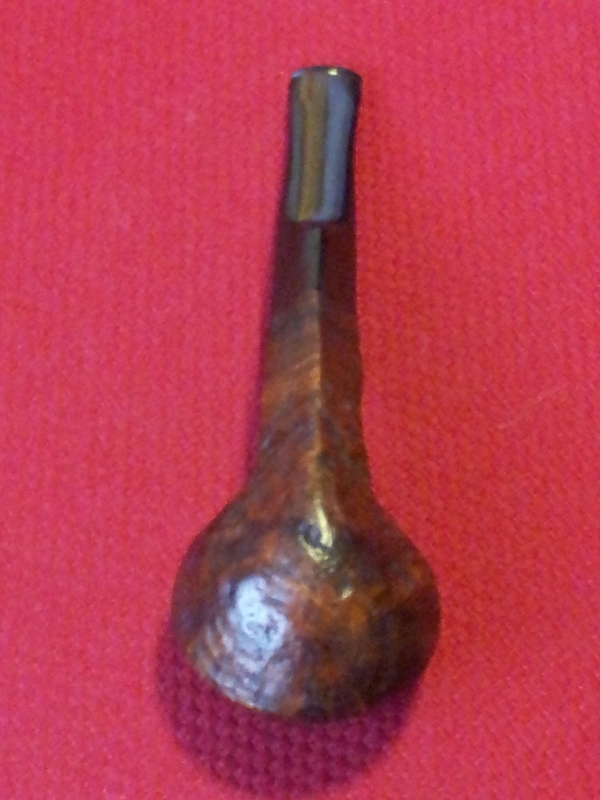 This arrangement provides a nice flat surface on which to re-square the face of the stem, without damaging the tenon. I worked slowly, re-checking the fit with the shank often. I managed to greatly improve the stem/shank fit this way, but didn’t quite manage a perfect joint. I think a less-rounded stem face would respond to the treatment better. 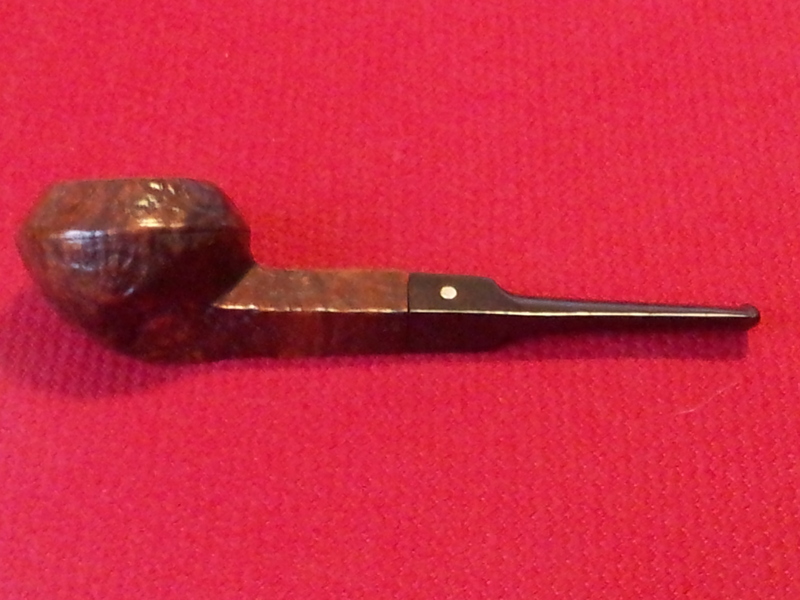 With the stem as good as it was likely going to get, I reassembled the pipe and took it to the buffer for a run of Red Tripoli and White Diamond compounds and several coats of Carnauba wax. 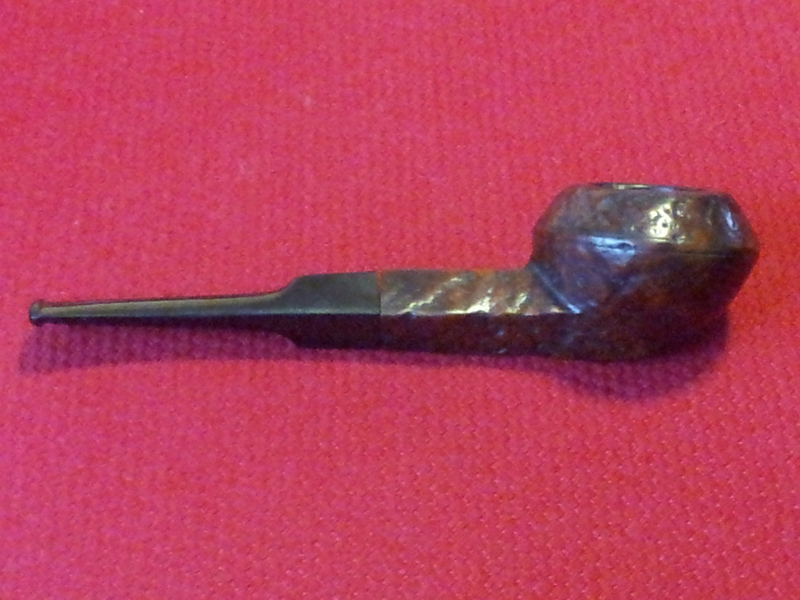 The final result is a decent-looking pipe in a classic shape. 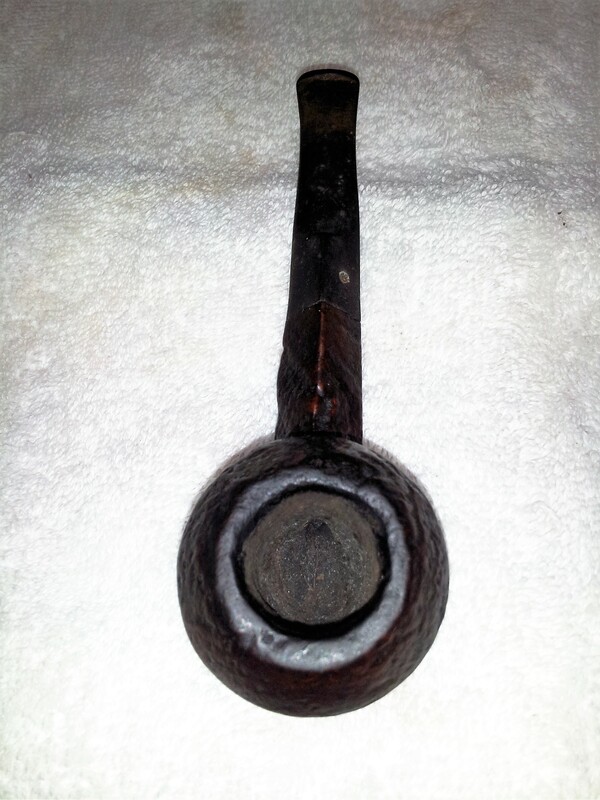 The bowl capacity is smaller than most of my pipes due to the squashed shape, but I think it will serve well for certain tobaccos or times when one wants a shorter smoke. Looking good, Charles! Another fine job. Getting stem to stummel flush fits are very difficult, but you did well using the process that Al uses. Thanks, Al. I find diamond shanks more challenging – it’s so much easier to round off a point.